Newly uncovered documents that the Baum, Hedlund, Aristei, and Goldman law firm has dubbed the “Monsanto Papers” reveal yet again the dirty lengths to which the world’s most evil corporation is willing to go to protect the reputation of its beloved Roundup herbicide. As recently reported by CBS News in San Francisco, it has now come to light that Forbes published a pro-Roundup editorial back in 2015 that readers were led to believe was written by the infamous Henry I. Miller of Stanford University, but that we now know was actually ghostwritten by Monsanto’s marketing team. A Robert Wesson Fellow in Scientific Philosophy and Public Policy at the Hoover Institution at Stanford, Miller is a well-known Monsanto shill and propagandist. He’s repeatedly gone to bat for Monsanto in trying to stave off honest scientific scrutiny of its top-selling agricultural poison, which independent studies have continually shown is linked to causing cancer in laboratory rats. The World Health Organization’s (WHO) International Agency for Research on Cancer (IARC) has also classified glyphosate, the primary active ingredient in Roundup, as a probable cause of cancer in humans. But it wasn’t known, at least until now, that Miller has actually stooped so low as to slap his name on articles that he didn’t actually write as part of Monsanto’s efforts to spin the truth. This includes the 2015 piece published by Forbes that attempted to “discredit” IARC’s research into glyphosate’s carcinogenic properties. Miller apparently agreed to allow Monsanto to write the article behind the scenes, only to later add a few words and have it published in his name on it to make it appear more authoritative and independent. These emails show that Monsanto had first tried to petition Miller to write a complete article condemning IARC while promoting glyphosate. Miller responded by saying that he would first need Monsanto to write him a “high-quality draft” from which to expand upon, as he was “inundated with projects” at the time of the request. 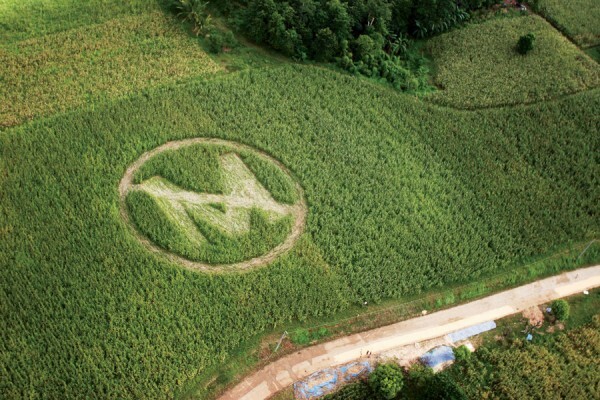 Within just a few days, Monsanto had drummed up a draft and sent it to Miller for review and revision. As shown by CBS San Francisco, the Monsanto draft and the final article that Miller submitted to Forbes are almost word-for-word identical, with the exception of a few changes here and there. CBS San Francisco says it’s been unable to reach Miller for comment, nor has it been able to touch base with the Hoover Institution where Miller works. This is obviously a lie, in light of what the emails had to say, which is part of the reason why Monsanto has become the subject of a massive lawsuit over the safety of Roundup. Attorneys say that Monsanto has deliberately withheld honest data about Roundup that proves its dangers, instead claiming publicly, with the help of its spin doctors, that the weedkiller is completely safe and poses no threat to human health.